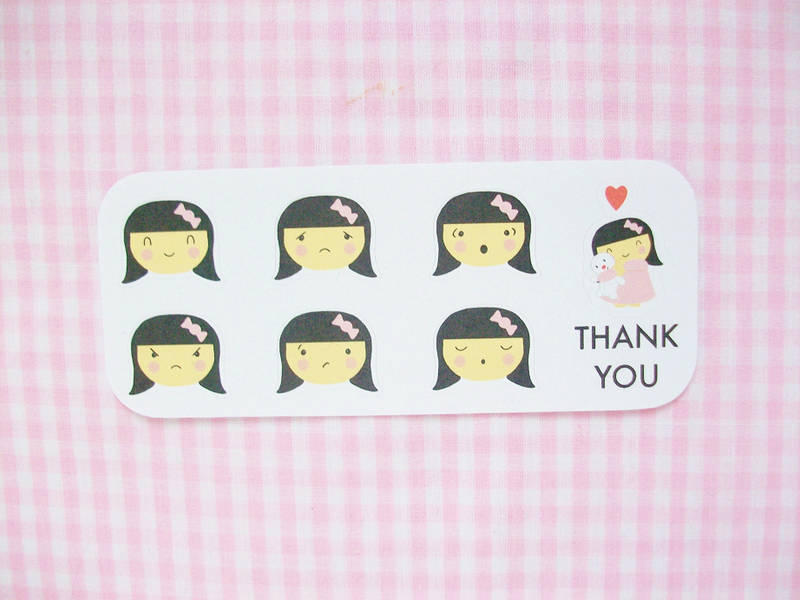 A few weeks ago I found a new cute Etsy sticker shop and I had to share it with you guys! I bought a few stickers from Frank Hearts You and they finally came in over the weekend! I thought some of you would be interested in what I ordered so I thought I would share before I started using them in my planner! 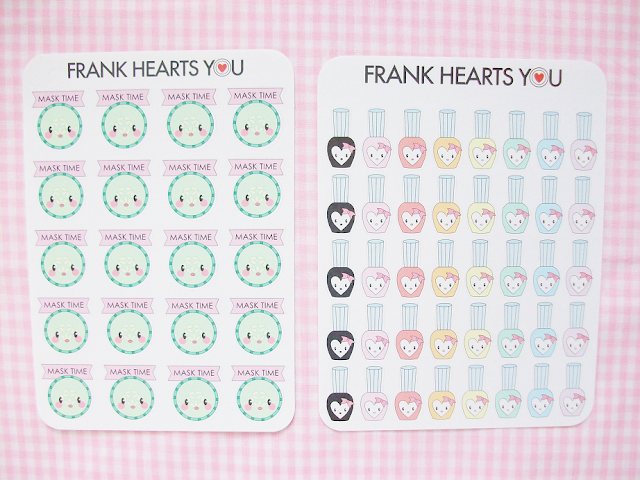 Frank Hearts You is new planner sticker shop based in Colorado run by a married duo who manage the shop together. The shop is named after a childhood stuffed snowman named "Frank". As someone who named her shop after her favorite plush cow I love the name! I needed some beauty stickers so I bought these mask time stickers and nail polish stickers. Perfect for a relaxation weekend! I also bought some water bottle stickers, which are the cutest hydration trackers I've seen from any other sticker shop, so far! They started selling smaller water tracking stickers recently so you can get more for you buck! 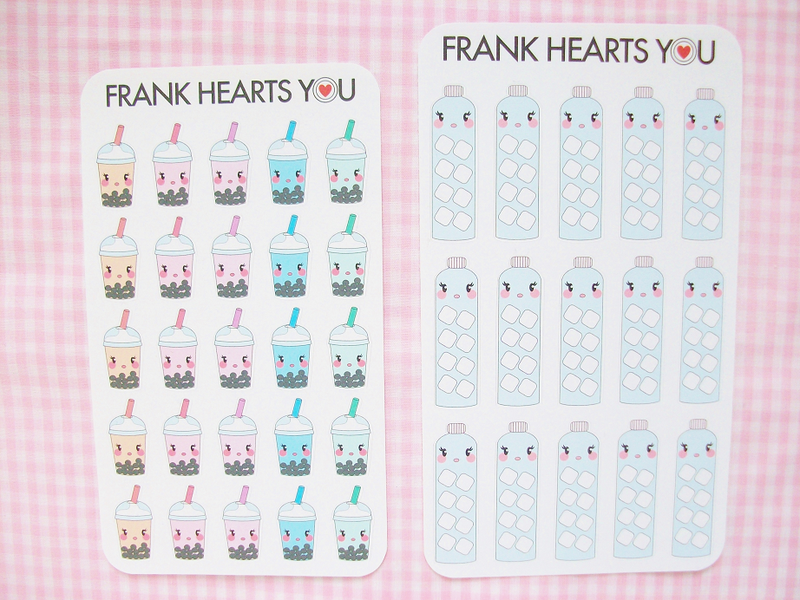 In my package, I also received these insanely cute boba stickers! I didn't order these so I'm not sure if they were a freebie or if they added these in by mistake, either way I'm excited I got them and plan on using them thoughtfully! 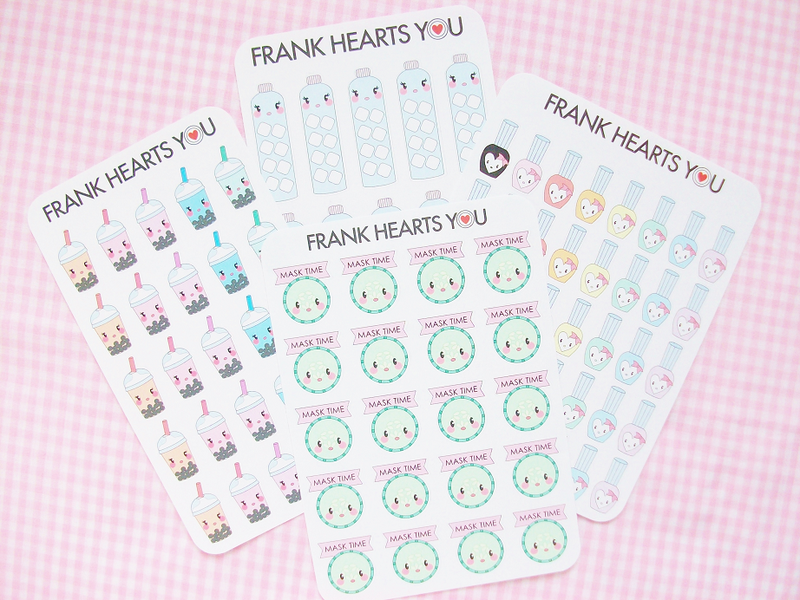 Lastly, they included a sticker sampler set! The cutie girl is named Bea and is their shop mascot. She's so cute! What's your favorite sticker shop?